Scott Pearson - For the Industry. By the Industry. 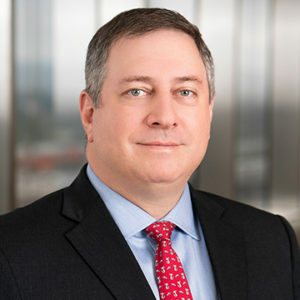 Scott Pearson leads Ballard Spahr’s Marketplace Lending Task Force, and is widely recognized as one of the preeminent authorities on the unique issues facing this industry. He focuses his practice on the defense of regulatory enforcement actions and class actions, other complex business litigation, and regulatory compliance counseling. Prominent companies regularly entrust Mr. Pearson with matters involving bet-the-company exposure or extreme complexity, such as overlapping claims being pursued simultaneously in multiple jurisdictions by federal regulators, state Attorneys General, and class action plaintiffs. He also serves as a trusted strategic business advisor, drawing on more than twenty years of experience.